The Re-Creation Encodement sounds were specifically created to assist those who do not feel comfortable in their physical being or body in this life or incarnation. As if they are wearing the wrong size suit of clothes. Although not a commonly discussed issue in most circles many clients present looking for answers and assistance connected to the higher realms, especially in the areas of soul retrieval or soul rebalancing These incredible sounds may assist such people to be more at ease in their physical garb or raiment. These sounds were created originally to assist a young man who was having difficulty ‘being himself’. The information which was given was of great depth and it was with a sense of profound honour that these specialised sounds were created, and with much love and thanks to Kerry and Debbie for their assistance. 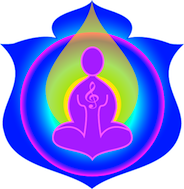 The Re-Creation Encodement sounds are a part of the Sounds from Source Energetic Balance and Harmony program. Comment from Susan – Before this sound came about, I would often play ‘Firm Up Your Body’ for clients for this very same reason. However, this sounds provides a much better ‘fit’ and of course has been specially created for clients who are not comfortable in their own skin.